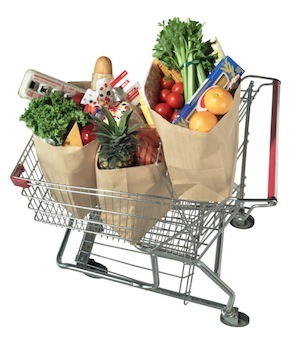 Shop the perimeter of the store, this is where you will find the fresh foods like meat, fish, fruits, and vegetables. Try to avoid the center aisles where they keep the junk foods. Read Labels, just because you are shopping at a fancy ‘health’ stores doesn’t mean they don’t carry unhealthy items. Some of my favorite sweets and treats can be found at Whole Foods or Trader Joe’s. Look for balance and know that if you are going to purchase something that isn’t the healthiest of options, to consume in moderation! And look out for ingredients you can’t pronounce. Check weekly Grocery Ads for promotions and cut coupons from online sources or newspaper ads. Try something new, check the ads for sale items which might intrigue you to experiment. Choose “real”, whole foods, such as 100% fruit juice or 100% whole-grain items. The fewer the additives the better! Store the store ads (and coupons) in a specific place each week so you can reference them as you are planning your menu.